2017 is shaping up to be a big year for us! Our family has grown, and we are enjoying the ministry opportunities where the Lord has placed us. We are also excited to share some changes on the horizon as we continue to seek the Lord’s calling in our lives. We appreciate your continued prayers and support, and want to share some of the latest happenings in our lives with you. As you already know, in February, we added a new little human to our family! William Noah Greenman was born on February 21st at 2:01pm here in Lima and we immediately fell in love. It is amazing to watch how fast he grows and changes and every day we discover a little more about his personality. 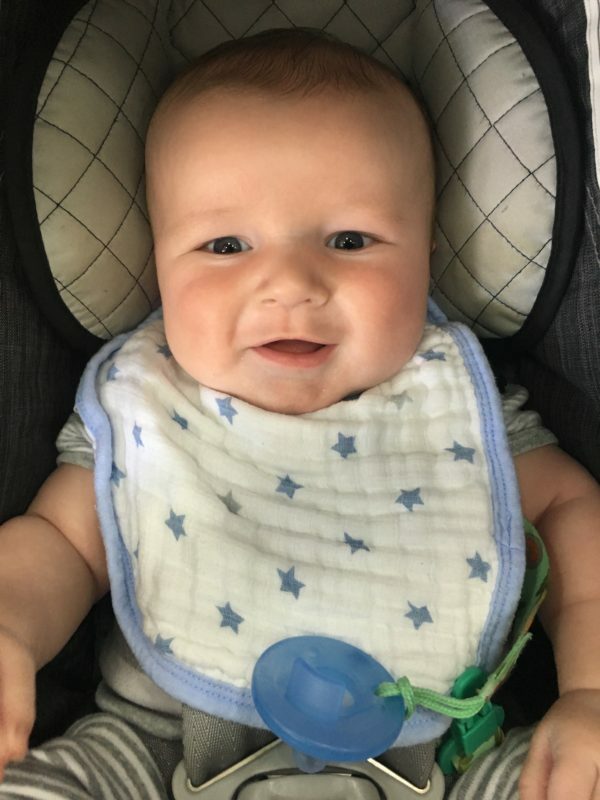 It is hard to believe that he is already 4 months old! During February, March and April, Will has had the pleasure of meeting all his grandparents. 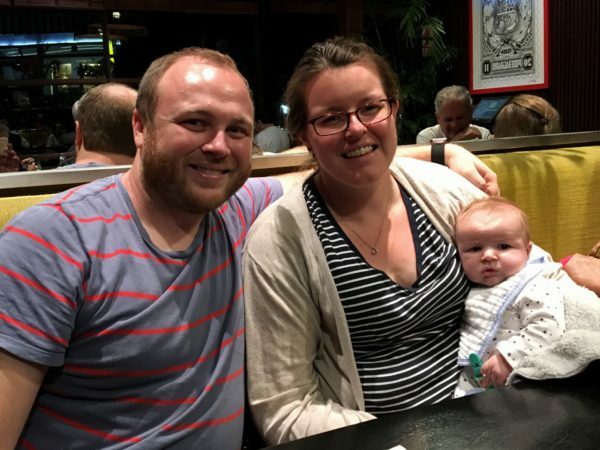 Their visits were a great blessing as Kate and I were just beginning to learn the rhythm of life with a newborn! Ever since he turned one month old, Will has been consistently sleeping for 7-8 hours every night and we are so very thankful for that! Will has traveled with us to the beach and has met many of the boys and staff at Scripture Union’s homes. He went on his first flight to Cusco and first long road trip to Ica! 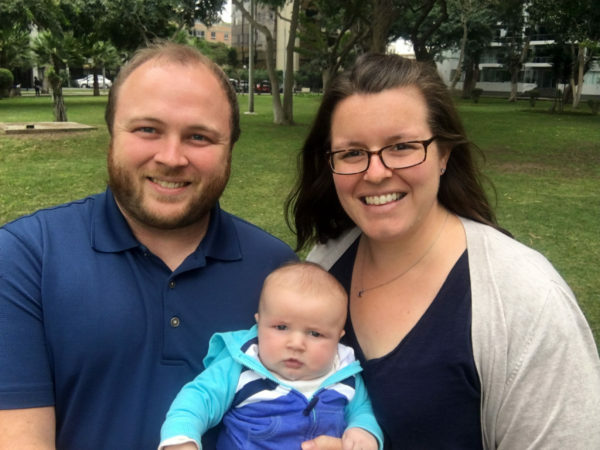 Since Will was born here in Lima, he is a dual citizen and carries both Peruvian and US passports. There have been plenty of challenges and tired days, but we could never imagine going back to life without Will. The Lord has really helped us reflect more deeply about His fatherly love as we experience parenthood for the first time! Girasoles Graduates: Kate and I continue to regularly follow up with several the graduates from SU’s Girasoles program. It continues to be our joy to regularly meet with these young men and pour into their lives. We are also excited that four more recent graduates are in the process of applying for the government higher education scholarship which would cover their tuition and provide a stipend for living expenses like housing, food and transportation. The process is still ongoing, but all four of them are doing well. Before they can apply for the scholarship, they must be accepted into a technical institute or university—all of them have been accepted! San Juan de Lurigancho Prison: Over the years, hundreds of children have come through our homes. Even years after they have left, we continue to consider them a part of the Scripture Union family. As family, we rejoice with them in their successes, and we are present with them in their struggles. Last year I was made aware of two of our ex-Girasoles who lived in our Lima home years ago (both are about my age). Unfortunately, they made some bad decisions that led to a jail sentence for both. I have had the opportunity to visit them monthly, and I am thankful for the opportunity to be an encouragement to these guys. I have had the chance to tell them that I have not given up on them because I know that the Lord hasn’t either. It is so wonderful to serve a Lord who is full of grace. My prayer is that the Lord would use these encounters to reveal His love and His grace to these guys. 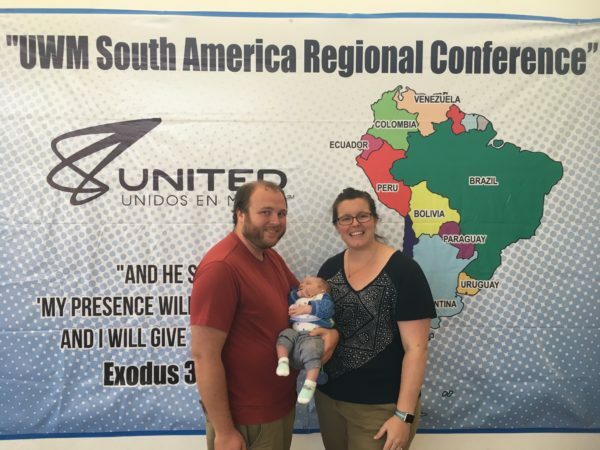 UWM Retreat: In April, Kate and I had to opportunity to attend United World Mission’s first ever retreat for all the South American missionaries. Thankfully, the retreat was held here in Peru at Kawai (the same Scripture Union retreat center where Kate and I were married). The close proximity to Lima made travelling with a two-month old much easier. The theme of the retreat was, “Rest and Rejoice.” The verse for the week was Exodus 33:14, “My presence will go with you, and I will give you rest.” It was the first time we had to opportunity to meet other UWM missionaries in South America. We had a great week of bonding as a community, sharing with the UWM staff from main office in Charlotte, and resting in the Lord. 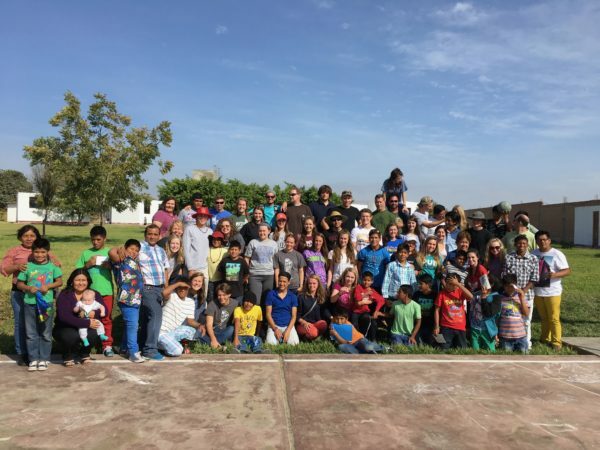 Work Teams: We are once again, right in the middle of a busy season of hosting teams who come to partner with Scripture Union Peru and the Girasoles program. Please pray for all the logistics that need to be coordinated for the upcoming teams. We are in the midst of final email communications to coordinate each team’s itinerary, booking hotels, reserving flights and buses, preparing work projects, and organizing our calendars to be able to host the volunteers. Pray that the Lord would be at work in the lives of each of the team members as they prepare to come and do ministry. Pray for our staff, the children in our homes, and the communities around our homes, that they would be blessed and encouraged by the teams’ presence. We have already traveled to Ica twice and Cusco with groups and have just a few more trips planned over the next couple weeks. Will has joined us on these trips and we love seeing the boys and staff at the homes interact with him! While traveling with the work teams, we spend the week at the home doing activities with the boys, assisting with a work project like making adobe bricks and depending on the location – delivering water to communities in the desert and putting on a VBS program for the local community. It is always a joy to see how the Lord works through our volunteers to serve the local community and staff and boys at each of Scripture Union’s homes. Later this week a group from Kate’s home church will arrive to spend 12 days with us at the home in Ica. We are looking forward to doing ministry together and introducing the group to Will! This past year has been a year of many changes, difficulties, joys, and triumphs. It has been a year where Kate and I have really done some searching, trying to discern the Lord’s direction in our lives and understand His calling to us according to His purpose. During this past year, Kate and I have been holding fast to this promise from Jeremiah. For many years I have felt a desire to continue my education and pursue a graduate degree. My desire has always been to further equip myself professionally and to develop the gifts that the Lord has given me so that I can better serve on the mission field and continue to be used by His Kingdom. My biggest problem was trying to figure out what I wanted to study. Over the years, I have spent many hours researching different graduate programs that I thought might fit with the ministry here in Peru—everything from non-profit administration to Biblical studies to leadership development. Still, I never felt like I had a clear focus. My prayer was, “Lord, when the time is right, make the next steps clear.” Slowly but surely, God has been revealing His answer. A few years ago, when I was first asked if I would consider directing Scripture Union’s Girasoles Program for abandoned and at-risk children my initial thought was that I would need to learn so much! I was passionate about the ministry, but I knew that there was so much that I didn’t know! I accepted the position, but I also made a personal commitment to dedicate time to research best practices in working with vulnerable children. This lead us to the Christian Alliance for Orphans (CAFO) and their annual Summit where we met many different individuals and organizations working with orphans and vulnerable children around the world. CAFO also extended us an invitation to participate in their Collaborate Forum for global leaders in the international orphan care movement. 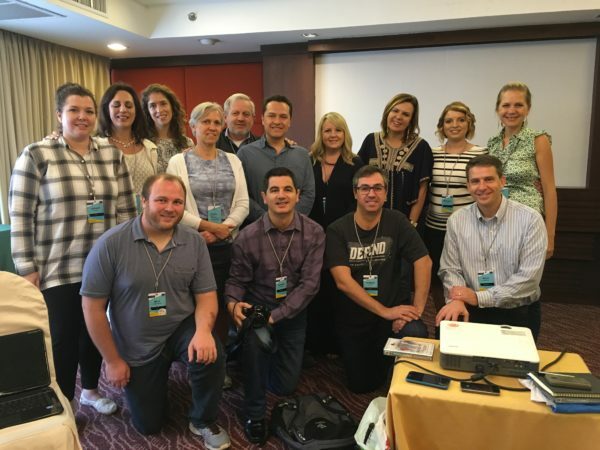 Additionally, having made contacts through CAFO, I was invited to attend the World Without Orphans Forum in Thailand in 2016 where I met even more Christian brothers and sisters across the globe who are passionate about responding to the orphan crisis—and doing so in a way that highlights best practices in ministry with vulnerable children who come from backgrounds of trauma. The more I researched and networked with other people who work with at-risk children, the more the Lord began to focus my interest and answer our family’s prayers. 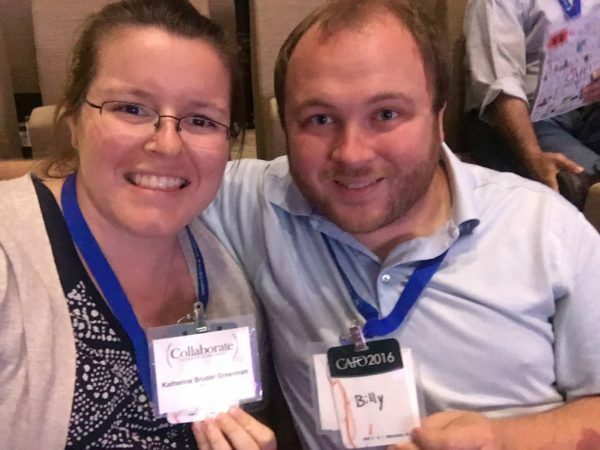 We are excited to share that starting this August, United World Mission has approved us for an extended home missionary assignment so that I can pursue a graduate degree in Marriage and Family Therapy at Wheaton College, near Chicago. During my studies, we will continue to serve as UWM missionaries, and we are committed to returning to the field upon graduation. On one hand, we find it difficult to think about saying a temporary goodbye to so many of our friends, SU coworkers, and the children at each of the homes. Still, the Lord has made it clear to us that this is His path for our lives. – First, we are excited to work with recent graduates from children’s homes as well as graduating youth in general who may not have a wonderful support network in place in their lives. 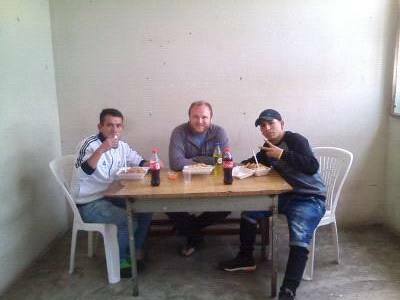 An organization has approached us about partnering with them as they implement a program to network with local churches to provide volunteer mentors who we can train to help provide continued support. Coupled with this mentor program there would be a formal curriculum of basic life skills to work through with these graduates. – Secondly, we would like to train caregivers in the current best practices of working with vulnerable children, and children who have experienced trauma in their lives. 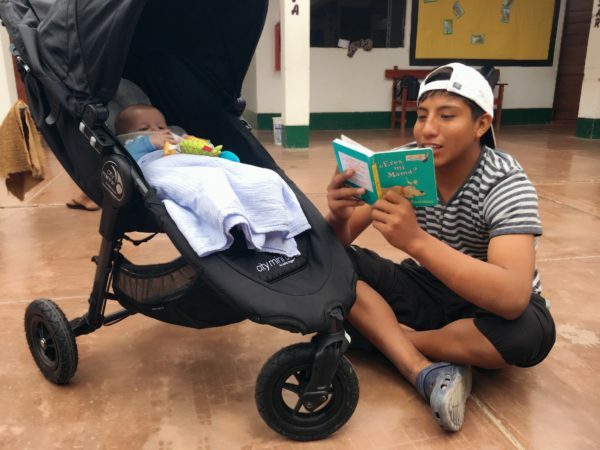 Having spent many years in Peru, we know that there is a thirst for knowledge, but there is not always a wide range of resources available to build such capacities. We would love not only to focus on training the staff at children’s homes, but also help build a strong network of organizations who could benefit from these types of professional development opportunities and work together towards the same goal. – Lastly, we want to assist in a church-led movement to provide care for abandoned and at-risk children not just in the context of children’s homes, but also dream about a day when they could be cared for in a family setting. 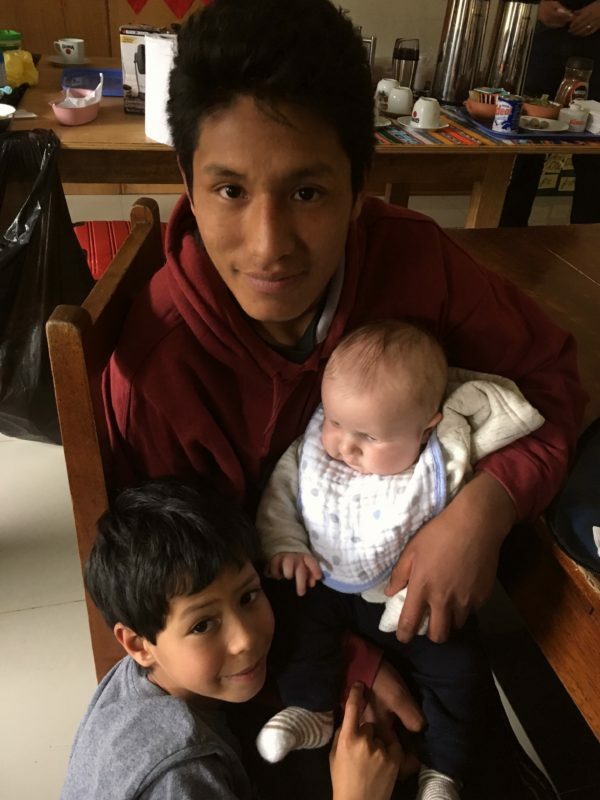 The Peruvian government is just beginning to think about laws and regulations in regards to foster care. We hope to be able to encourage the Church and families to consider how the Lord might be calling them to be a part of meeting the needs of these children. We look forward to opportunities when we are not just training childcare staff, but also individual families who feel called to foster or adopt. As we prepare as a family to make this transition, we want to pause for a moment and thank you for your ongoing prayers and support for our ministry. There is no way that we would have been able to remain on the field if it wasn’t for the strong partnerships and people who are continually supporting us, encouraging us, and praying for us. We truly appreciate your commitment to us and what God is calling us to do. As we move toward studies at Wheaton and dream about the years beyond, working in the name of Christ to champion the cause of orphans and vulnerable children, we ask you to prayerfully consider making this transition with us, continuing to work together in partnership. We cannot wait to see what the Lord has in store for our family and our ministry, and we look forward to sharing His testimony in our lives along the way!